The smell of freshly ground coffee is pretty unrivalled. To make sure that your machine is serving the best coffee it possibly can, it deserves (and needs) a little TLC from time to time. Technically, they should be cleaned after every cup and definitely a thorough clean at the end of each day. Considering the growing popularity of professional coffee machines and their associated price tag, we don’t blame you for wanting to know how best to maintain one. However, with all of the care and attention in the world – a coffee machine with poor quality sealing components cannot perform or produce quality coffee. Understanding just how coffee machines actually work is critical to understanding how you should be maintaining them and the importance of high performing parts. Not only does correct, sufficient maintenance increase your coffee machine’s lifespan and efficiency, but you’ll also produce optimal, higher quality coffee. For coffee machine manufacturers such as Nespresso, De Longhi and Lavazza, it’s their responsibility to ensure that their machines are built with high quality components and seals. 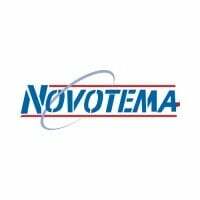 With expert advice from Novotema, this guide will not only help you to understand coffee machine maintenance, but also understand the importance of the machine’s parts and seals – helping customers when it comes to choosing a manufacturer. So, how do coffee machines work? The concept of cold water and coffee beans transforming into perfectly smooth, filtered hot coffee almost instantaneously can seem mind-boggling. For bean-to-cup type commercial espresso machines, they use a portafilter inserted with a portafilter basket and insert it into the ‘Group Head’. You may recognise the portafilter as a small metal cup with a large handle that baristas grind the coffee in. The portafilter basket changes depending on whether you would like a single or double shot of espresso. The coffee is then ground into the portafilter and secured into the group head, also known simply as the ‘Group’. Once secured, the Group releases pressurised water to the ground coffee inside the portafilter. Inside the Group, you will find a large rubber O-ring known as the Group Gasket, which seals the portafilter to the head to prevent pressure escaping. Some coffee machines will come with a steam pipe for heating the milk, activated by the steam valve and recorded by the pressure gauge. Understanding how the steam pipe work and recognising the pressure of the milk is crucial, as it can be too easy to burn the milk. Inside a coffee machine, you will find a reservoir – a bucket that houses the water with a small hall at the bottom. Leading from the reservoir is a silicone tube which carries the water to the Group Head where it is sprayed over ground coffee. The hole at the bottom of the reservoir passes cold water through the heating element – a coiled wire such as the filament you find in lightbulbs, and an aluminium tube for the water to flow through. This is where the water is heated in the coffee-making process. It seems pretty straightforward, right? Nonetheless, you may find yourself questioning why a coffee machine has decided to stop working suddenly. There are several potential causes for your coffee machine failure, and unfortunately, they mostly boil down to (pardon the pun) a simple lack of maintenance. One-way valve - Also know as a duckbill or no-return valve, this relatively self-explanatory component only allows liquids (or water in this instance) to flow one way. This can be found by the hole at the bottom of the reservoir or in the heating element pipe and prevents the heated water from escaping back to the reservoir, forcing the steam from the heated water to flow through the silicone tubes to the group head. Without proper maintenance, the one-way valve can become clogged and disturb the coffee-making process. Switch - The heating element is controlled by a switch in the machine, which uses sensors to prevent the water from overheating. Both the machine’s power switch and sensors can become weak and cause the machine to fail if not properly maintained. But, like most electrical appliances, sometimes they do decide to fail on us for (seemingly) no reason. Tubes - Often caused by excess calcium, both the silicone and aluminium tubes can become easily clogged and impact the machine’s efficiency and quality of the end coffee. As silicone is temperature and chemically resistant, it is a highly durable material and not as susceptible to buildup as the aluminium tubes. It’s important to understand that sensors and switches can be difficult to repair – they usually require replacement parts and need to be fixed by a professional. Sometimes, your only option can be to purchase a new coffee machine – which is why taking steps to maximise its longevity is so important. The mechanics of a coffee machine are either considerably more complex or easier than one would expect. To achieve the perfect blend, the performance of the machine relies on some very small, yet crucial components. That is why it’s vital that coffee machines are built with only the highest quality, high performance products. Consider the Group Gasket O-ring – if it fails to tightly seal the portafilter to the Group, this will affect the water pressure and temperature, in turn causing the machine to simply fail or produce coffee that doesn’t taste all too great. The trick to a long-lasting coffee machine is a combination of high-performing components and regular maintenance of its parts. To avoid a buildup of limescale or other harmful bacterial and minerals, coffee machines must be regularly cleaned. As with other machines or appliances that use fresh ingredients, it is recommended that coffee machines being used daily are also cleaned daily. If it’s not for personal use, you may enforce stricter regulations to safeguard your consumers and clean the external components, such as the portafilter and Group, after every cup. Here are some maintenance tips to improve the longevity of any coffee machine. Firstly, it’s important to try and use filter water. Whilst some machines filter water themselves, they can’t always wholly purify it. The minerals in tap water are left behind and end up building up over time, jamming the pressure valve. The reservoir should be regularly drained, cleaned and refilled. You may think it’s just water inside there, but that doesn’t stop limescale from building up. If you use a domestic coffee machine infrequently, you may find that by the time you decide to use it again, the water you left in the reservoir is now no good. If you do tend to use it infrequently, don’t leave it lurking and ensure it is thoroughly cleaned after each cup – only fill it with water when you fancy another. Aside of the reservoir, you should also ensure that the other external components such as the portafilter and steam pipe are thoroughly cleaned – mainly for the same reason as the reservoir, but bacteria builds up much quicker on the parts that come into contact with the coffee and milk. Modern professional coffee machines tend to come with a self-cleaning cycle, outlined in their manual, to clean the intricate internal parts. If yours doesn’t have a self-cleaning cycle, the machine may instead come with manual instructions for cleaning the internal parts by-hand. Not only do regular internal cleaning cycles help to prevent buildup and blockages, but it also ensures that you are complying with health and safety guidelines. Does your coffee suffer from poorly performing O-rings or sealing components? Get in touch with a rubber sealing solutions engineer for expert advice. If you work in the food industry, speak to our engineering experts today about our FDA, 3-A and WRAS compliant elastomer components.